In today’s busy world, all of us can get caught in the middle of a rut because of juggling around all of our responsibilities. We sometimes forget to take a step back and rest. The most important part of spending your vacation is finding a good place to stay. A place where you can forget all your stress behind and just enjoy the serene ambience of the home. Check out these beautiful rental houses in Canada where you can relax and spend quality time with your loved ones. You can imagine yourself lounging in this house on a cold winter night with a good book paired with a warm cup of your favourite hot chocolate. Experience the spectacular view of snowy woods when you lodge in this 4-storey property from the town of Whistler, BC. This home encourages relaxation at maximum level because of its wooden accents and treehouse-inspired concept. It also boasts special amenities such as a media and game room, exercise room, and a private outdoor hot tub for that ultimate relaxation experience. This rental home looks like it has come out from a luxury lifestyle magazine. The gold and silver accents of this penthouse give it that luxurious and classy touch which will make you feel like royalty. It features 2 bedrooms and 2 bathrooms, and a Jacuzzi. Aside from that, you can have fun while playing at the pool, sauna, ping pong, and billiards room. Its elegant floor to ceiling windows give natural lighting and lets you adore the breathtaking view of the nearby communities. 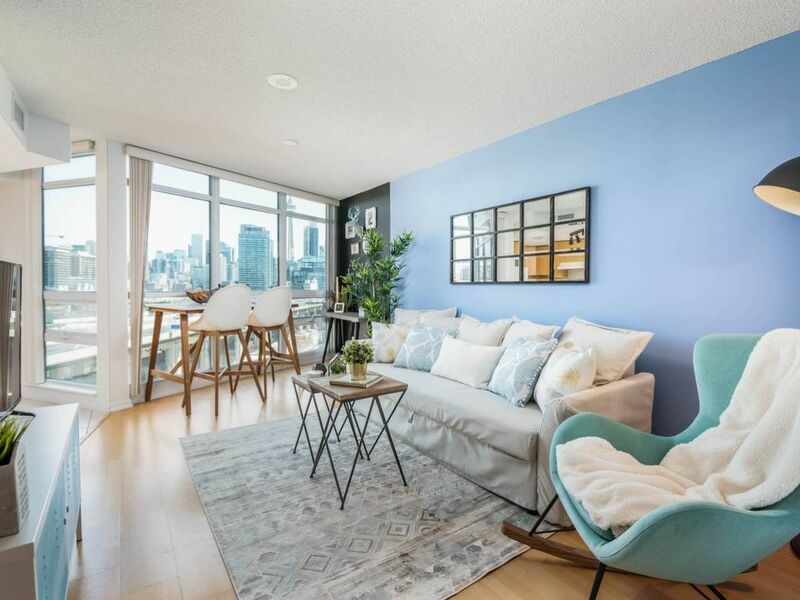 Exploring the city is also a breeze since this rental home is located near a scenic view of the City and famous tourist spots like Toronto Freestanding Signage and CityScape. Unwinding while still in the city? Possible! This condominium unit will surely get you excited to discover the fun-filled city of Ontario. With an artsy and young vibe paired with pops of blue, you will feel refreshed and at home during your stay. Roaming around the place will not disappoint as this rental home is close to the city’s best attractions and restaurants. Exhibition Place, Kensington Market, CN Tower, and many other places for recreation is just around the vicinity so you won’t have to worry about where to go around. Spend days at this vacation house and you might not want to leave again. 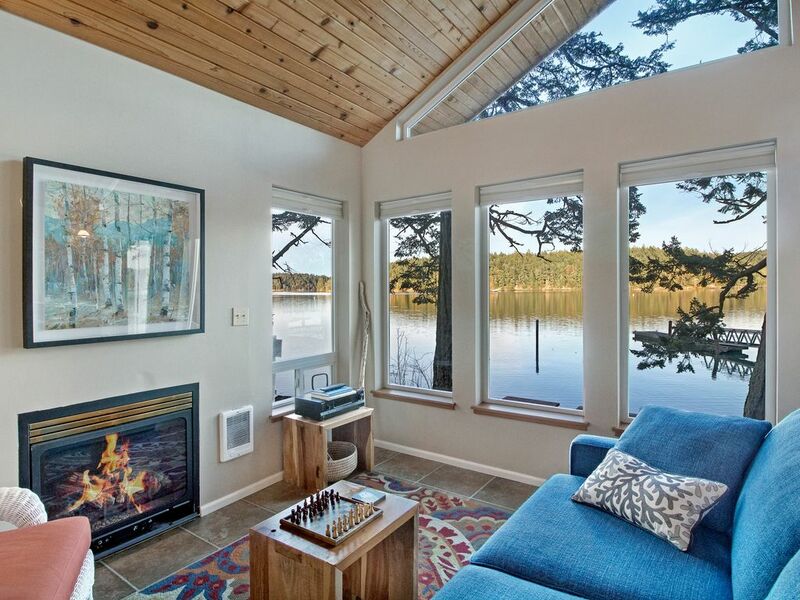 Located at Garrison Bay, this home features a breathtaking view of the lake which makes guests enjoy the tranquil and serene ambience of the place. Great place for a cozy campfire and barbeque along with fishing and other water activities. Wide windows and a monochromatic theme is what makes this rental home very welcoming. This 950 sq.ft. the condo is situated at a premier location at downtown Vancouver. Walking around this area is very safe and secure. Also, exploring top tourist destinations such as the Vancouver Art Gallery, Coal Harbour, and the Orpheum Theatre is very much encouraged.